I love Disneyland--love it. I can't wait to see the new Cars land with my 4-year-old boy. I love how intimate and compact Disneyland and California Adventures are and the number of kid rides in Fantasyland, Toon Town, and throughout the DCA park. I like the weather in California and the less crowded, more laid back atmosphere. But Disney World is quite different. It offers four main parks to California's two. It covers significantly more acreage and is practically it's own city with multiple resorts and a ginormous Downtown Disney, not to mention two water parks. Disney World is grandeur. Not everything at Disney World is bigger and better than it's Californian brother (or sister? ), but some things definitely are. #1--Epcot--really this should be reasons 1-3. If Disneyland had Epcot, I would never travel to Florida again (at least not for Disney parks). Epcot has two innoventions where families can explore and create all sorts of technology including designing and then riding their own roller coaster. It offers rides/shows on imagination, hydroponic farming (my husband was so inspired he experiments in our backyard as seen at geekgreens), energy, space (you might want to ride Mission: Space before lunch), and history. There are plenty of hidden, interactive playgrounds (anyone want to try their hand at virtual surgery?) largely found at the end of major rides. The rest of the park exhibits countries from around the world including native street vendors and acts demonstrating each culture. Not to mention the sheer number of characters including Mexico Donald Duck (our 8-year-old's favorite). Our family loved eating our way around the countries--cheese and bread in France, sushi in Japan, dumplings in China, and don't forget you can try FREE soda flavors from these countries at Club Cool located in the West Pavilion. On our trip, we spent two days at Epcot and still didn't see everything. One note: many blogs rave about the passport stamps little ones can collect from the Epcot countries. We did not see the fun in that as it was just a cardboard bear with stamps and was just another thing to carry around. #2--Water Parks--My children's favorite part is usually the motel swimming pool. And frankly, after a few days in the parks, I'm ready for a day of swimming and relaxing pool side. The Water Parks offer the relaxing experience and so much more. Typhoon Lagoon has an incredible kiddie area and monster wave pool, not to mention the shark snorkel tank for older kids/adults and endless sand for the younger crowd. Blizzard Beach is an older elementary child's dream with plenty of slides, a ski lift, a family raft ride, and a long lazy river. Add to that the bucket of ice cream (large enough to feed an entire family) and you have the perfect break. #3--Hollywood Studios--For movie buffs, this is a must and combines some of the best of Disneyland and DCA. Rides include the famous Rock n Roller Coaster, Tower of Terror, Star Tours, Pixar rides, and hollywood movie making shows and rides. The Car Stunt Show is legendary and breathtaking. The evening show, Fantasmics, is my personal favorite. 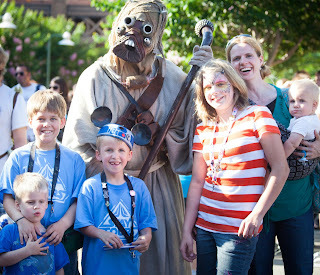 Plus they have Star Wars weekends in May which is one of the few times adults are allowed to come in costume to the park. The good (and bad) of this park is the shows are amazing so your plans revolve around show times with rides and character greets as secondary. Another hidden gem is the Bug's Life playground which encourages exploration and is a needed break from sitting through shows or waiting in lines. #4--Surrounding Parks--both Southern California and Central Florida boast an extensive list of non-Disney parks (some are at both locations some are at only one) including Sea World, Universal Studios, Knotts Berry Farms, Legoland, Busch Gardens, San Diego Zoo, Kennedy Space Center, etc. For many families (especially those with animal lovers or teens) will want to spend some time at these other locations. Why does Florida win this round? Primarily because of Universal's Islands of Adventures (Harry Potter World and Marvel Island), Sea World's Discovery Cove, and the Kennedy Space Center (though pricey is unlike anything in California). #5--Dining--My biggest complaint about Disneyland is that it does not have a dining plan. It also has vastly fewer dining options that Disney World. Disney World's dining plan (which is often free in September) takes a lot of the hassle out of eating in an expensive amusement park. Instead of sweating the cost of a character dining (14 options in Florida compared to 5 in California), the table service dining plan covers it as well as a plethora of other options. The real highlight is dining inside the iconic castle with all the princesses! Setting aside the dining plan, the options at Disney World are incredible. Epcot in particular features food from around the world and a large food court called Sunshine Seasons (one of our favorite spots). Tusker House at Animal Kingdom (which is not well rated but our family enjoyed it) offered a mix of American food and African specialties. However, for those who like to eat off property, Disneyland's smaller size and proximity to Anaheim restaurants make it easier to dine elsewhere especially since a large number of motels offer a complimentary breakfast (mediocre food but good on a budget). #6--Character Experiences--My biggest surprise at Disney World compared to Disneyland was the sheer number of characters signing autographs and posing for pictures. 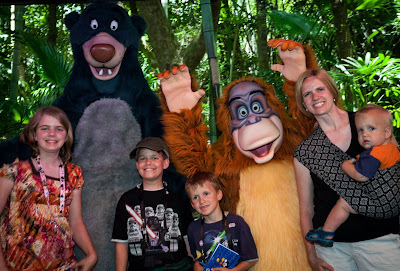 Our family places rides and shows (and even shopping) above meeting characters, so our son only had a couple of autographs outside of a character dining at Disneyland. However, he collected several signatures with little effort at Disney World. Aside from Star Wars characters we saw on Star Wars weekend, our favorite was Balloo and King Louie from the Jungle Book found at Animal Kingdom. #7--Shows--Part of the magic of Disney is that they are more than just rides, they have plenty of excellent shows. While at Disneyland, we enjoyed the afternoon parade and evening show and Jedi Training. There were also a couple of other shows that we passed on. But at Disney World, we had to schedule some of our days around the shows, especially Hollywood Studios, because the quality and number of shows were too amazing to pass up. My personal favorite was the Lion King show at Animal Kingdom (think circus acts). Hollywood Studios is know for the Car Stunt Show, Indiana Jones Stunt Show, a broadway style play--Beauty and the Beast when we visited, and Fantasmics at night (not including two parades and an evening Star Wars dance show). The other parks were similarly filled with show options that had to be weighed against dining options, rides, shopping, pin trading, and bathroom breaks. 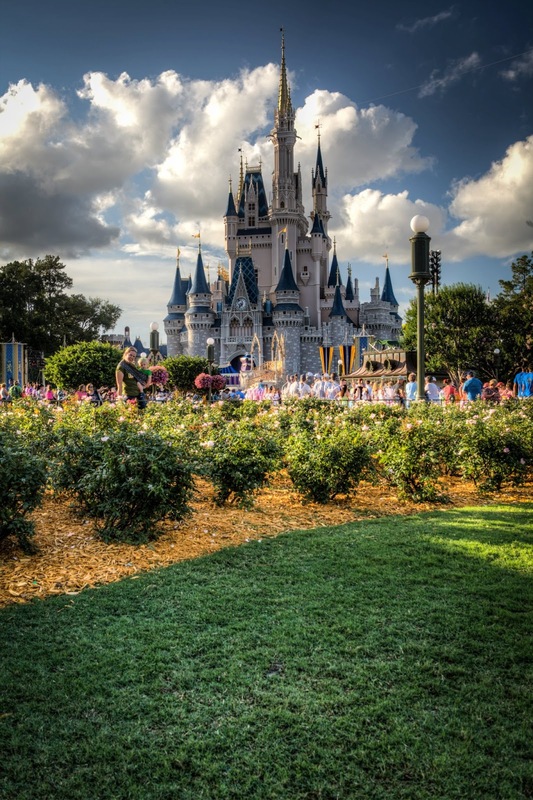 Even for those who live on the west coast, a trip to Florida is well worth it especially when Disney World is offering deeply discounted rates. Just don't make the mistake of comparing Magic Kingdom to Disneyland. The real magic in Florida (compared to California) is found in the other parks.